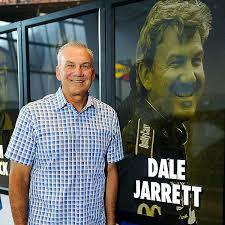 June 4, 2013 - Dale Jarrett, three-time Daytona 500 winner and 1999 Winston Cup champion, will join his father, Ned Jarrett, in the NASCAR Hall of Fame as part of a five-member Class of 2014, it was recently announced. Engine builder Maurice Petty, brother of Richard Petty, Tim Flock, Fireball Roberts and Jack Ingram round out the class to be inducted on January 29, 2014. During his career, which spanned from 1984 - 2008, Jarrett chalked up 32 victories. In addition to his three wins at Daytona, he took the checkered flag two times at the Brickyard 400, and once at the Coca Cola 600 and Winston 500. His first ballot selection came as a shock to Jarrett, who was dressed down to attend his son’s high school graduation party following the announcement. Jarrett is currently the lead racing analyst for ESPN on its NASCAR telecasts, following in the footsteps of his father, Ned, who also spent plenty of time in the broadcast booth. Both Dale and Ned are Lifetime ASA members and strong supporters of the organization, so the news of Dale’s Hall of Fame selection was well received by ASA President Lou Schwartz. “It’s refreshing to see that so many of our longtime ASA members like Dale Jarrett are being recognized for their achievements. Jarrett is not only a great race car driver but a first class racing analyst,” concluded Schwartz.